High-quality flexible acoustic tubing is crack and wear resistant along with improved resistance to skin oils and alcohol. 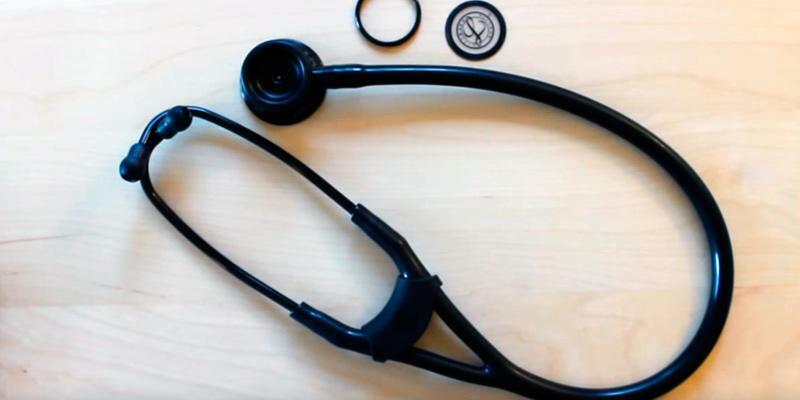 Thanks to its utmost durability, this stethoscope will serve you for a long time. Selected color might differ a bit from the one offered online. 3M Littmann 5803 is a versatile all-purpose diagnostic tool including both stethoscope and phonendoscope functions. A real catch for a family doctor as owing to a unique double-sided chest piece, it is useful both for adult and pediatric patients. 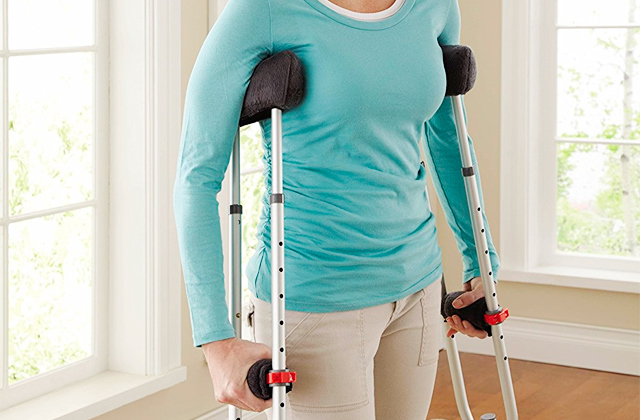 A non-chill bell ring provides perfect insulation for low-frequency auscultation and ensures the patient's comfort. The green indicator dot allows a user to identify the chest piece position and active sound channel. Under long-term use, it can bring some discomfort to your ears due to heavy weight. A premium-quality design brings unmatched performance and durability. MDF777-BO is an exceptional entry-level instrument for a beginning physician. It is noteworthy that it can be used in veterinary practice. A distinctive dual-sided chest piece provides for efficient and reliable acoustic performance. A teardrop shape ensures an easy fit under the blood pressure cuff for convenient and accurate auscultation. An extra eartips set is not available. 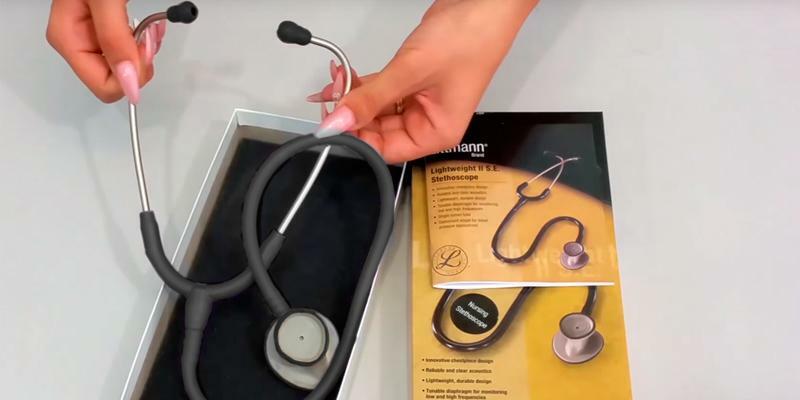 Another Littmann stethoscope is an outstanding option for the students of medical universities and colleges as well as for internship doctors. Thanks to first-class materials and supreme lightweight design, this stethoscope meets all quality standards and requirements. Two independent acoustic tubes of the Rappaport stethoscope feature improved sound transmission with the minimal sound loss. The tool comes as a part of the blood pressure monitoring kit. Doesn't come with instructions on assembly. 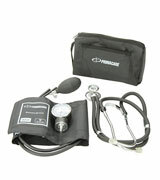 The stethoscope included is an ideal instrument for basic physical assessments carried by nurses and healthcare specialists. 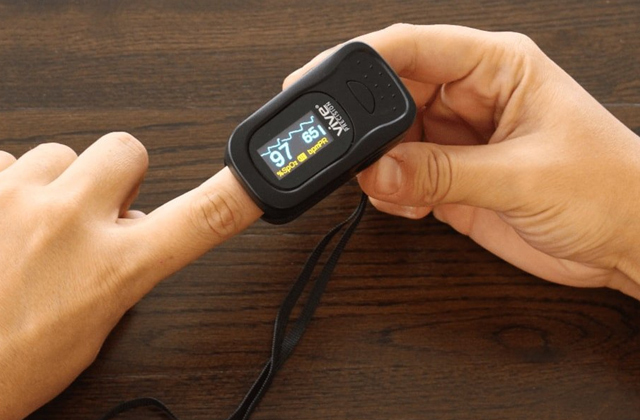 As for the blood pressure monitoring kit, it is the best option for those who'd like to get 2 professional health monitoring devices and save their money at the same time. Weighing only 3.5 oz this stethoscope is extremely lightweight and comfortable to wear even all day long. The ear buds are pretty rigid. The stethoscope can become a good learning instrument for first-year students. It will be appreciated by regular customers, veterinary, and many other medical professionals who need to perform physical assessments from time to tome. It is pretty cheap and yet it provides great results within the limits of its specification. 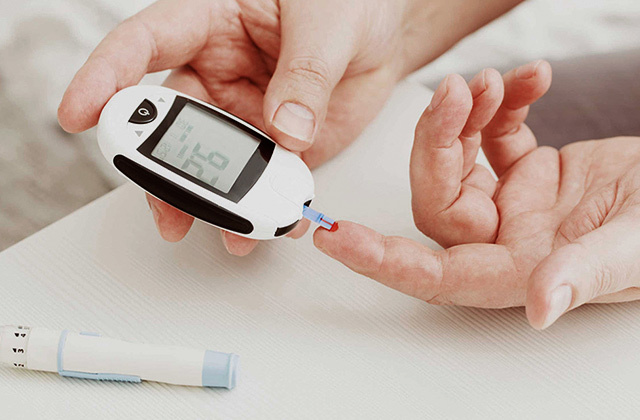 As a rule of thumb, the initial diagnostics quality and results significantly impact further decisions of a healthcare specialist in terms of treatment and therapies to be taken. 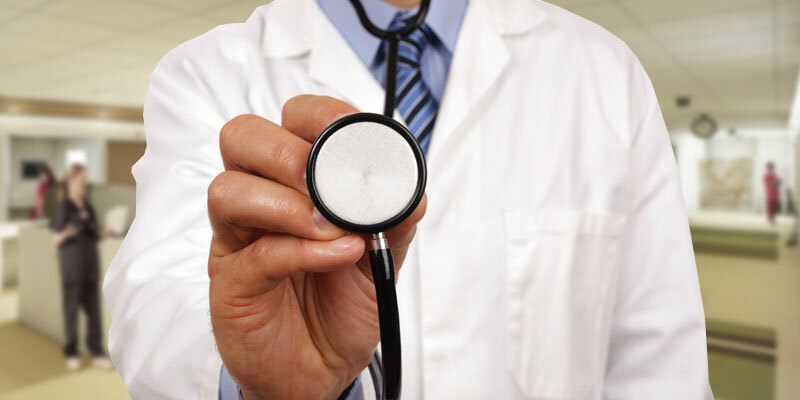 In skillful hands of a professional, a stethoscope can say even more than a patient. 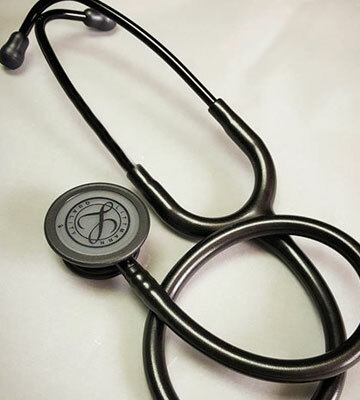 In this regard, the stethoscope should feature excellent acoustic sensitivity and strictly match its type of application. The best solution is a multi-purpose diagnostic instrument allowing for accurate and efficient auscultation of both children and adults. Millions of medical professionals give priority to Littmann Classic III, not only because Littmann is a clinical icon but also owing to a winning combination of premium-quality acoustics and functional versatility offered by this model. The stethoscope boasts a two-sided chest piece with a tunable diaphragm letting the clinicians hear different frequency sounds by simply adjusting the pressure on the chest piece. When necessary, the doctor can easily choose between the adult and pediatric sides for appropriate physical assessment and patient monitoring. For the ultimate patient’s comfort, the diaphragm has a special rubber ring protecting from a chilling metal feeling when the chest piece is applied to the body. 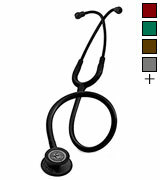 Littmann Classic III is a very popular stethoscope. This model is consistently rated as one of the best general-purpose stethoscopes. Today many experienced medical advisers choose Littmann Classic III for its high-quality acoustic performance even under noisy conditions and for its usability. Commonly, clinicians wear a stethoscope on the neck that eventually can cause discomfort and irritation. But Littmann stethoscope is not the case! 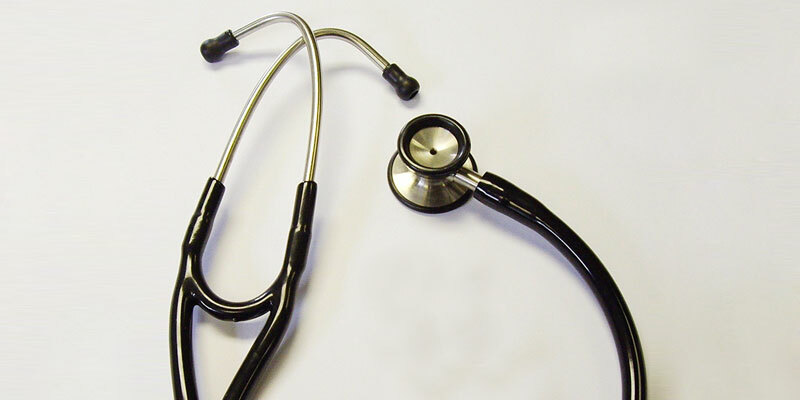 The manufacturer uses only first-class non-allergic and durable materials for its stethoscopes. For example, acoustic tubes contain no natural rubber latex or phthalates. 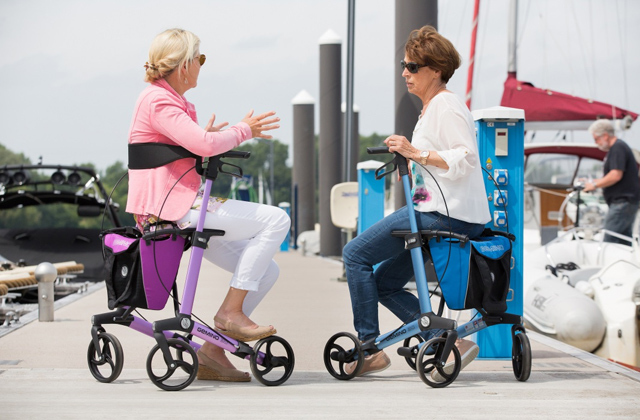 At the same time, the tubing perfectly retains its shape and flexibility. It ensures longer stethoscope life, thanks to improved resistance to skin oils and alcohol. Many users also highlight easy-to-adjust headset and convenient ear tips. Just squeeze together or move apart the ear tubes to fit the head size and the spring will remember the last adjusted position. The pediatric side of the chest piece usually used for auscultation of children converts to a traditional open bell. 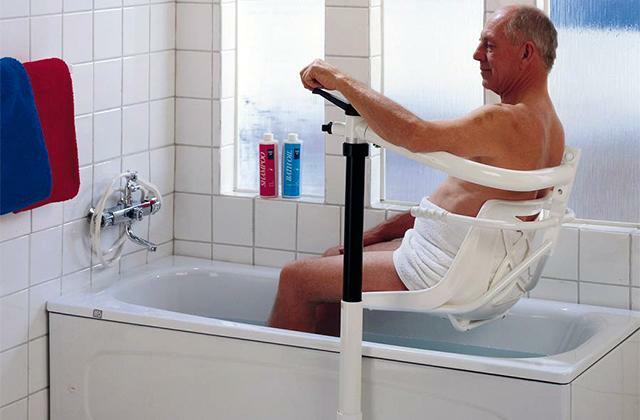 You only need to replace the diaphragm with a non-chill rim. The small side is not only used in pediatrics but also suitable for auscultation around bandages and carotid assessment. 3M Littmann Classic III is offered in a whole variety of different colours for acoustic tubes and various decorative elements of stethoscope metal components. Available eye-catching combinations and popular colour solutions will add to your style and give your stethoscope a distinctive look. For example, a bright pink tube with golden metal elements or lime green with chrome metal and other vibrating colour combinations look fantastic. You will never go unnoticed! MDF instruments is an American manufacturer well-known on the market of medical devices. The company gained the loyalty of many medical specialists and won recognition of the best healthcare professionals. The secret of their success is a handcrafted process. Keeping patient and doctor comfort in mind, they develop an ergonomic highly durable design and handcraft every tiny detail of their stethoscopes. Well-trained and skilled specialists put their heart and soul into manufacture of premium-quality diagnostic instruments polishing and tailoring every part and component to perfection. 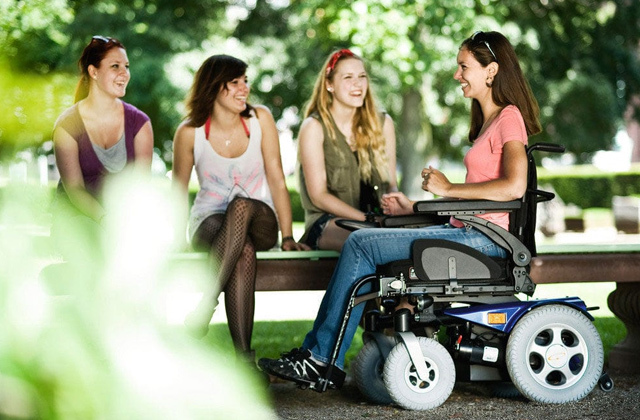 MDF instruments is a company established by people who care about caregivers. A dual head stethoscope design is the most recognizable and time-tested. It has been used and refined over time all over the world. Thanks to its simple and no-frills design, dual head stethoscopes became very popular. 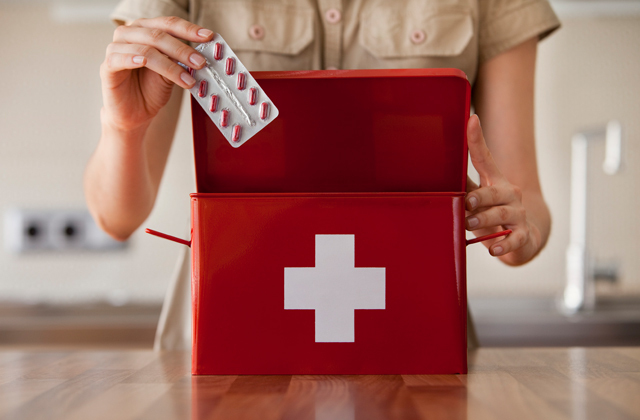 They work well for everyone from doctors to nurses, medical students, instructors, and paramedics. If a medical student or assistant uses a stethoscope several times a day, an emergency paramedic might use it a dozen times daily. Hence, the quality of this simple yet essential diagnostic instrument is of the utmost importance. MDF is always concerned with high performance and durability characteristics of its instruments. And MDF777-BO One is not an exception. For this model, the manufacturer took a classic dual head design and used the best materials to get the first class stainless steel construction. With a meticulous handcrafting, they achieved excellent results. MDF777-BO Onе parts do not contain any hazardous or allergic materials. This model meets all local quality standards and regulations being absolutely safe for both a doctor and a patient. We all know that unpleasant feeling of a cool chest piece touching our skin. And there is hardly someone who would like it. 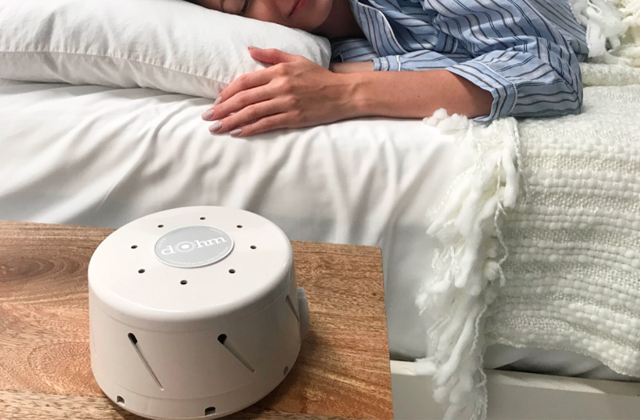 MDF777 boasts a precisely machined and hand polished extra-large bell with a no-chill ring to provide secure acoustic transmission, amplify the sound and ensure maximum patient comfort. The paediatric side also features a no-chill rubber rim for auscultation of children to protect small patients from negative emotions. MDF777-BO One stethoscope is a work of art. It is a really great instrument with unmatched performance, durability, and aesthetics. We all know that an efficient patient examination and physical assessment are essential for a correct diagnosis and appropriate treatment. 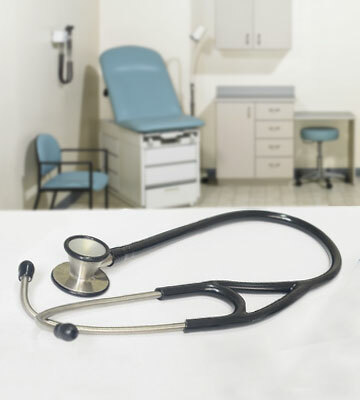 Not least in an array of factors determining accurate examination results is the quality of stethoscope. In most cases, professional medical devices are rather expensive and the entry-level doctors, nurses or medical students cannot afford it. 3M took care of the newbies and manufactured an ideal entry-level stethoscope Littmann Lightweight II SE offering a reliable acoustic performance, decent quality, and budget-saving price. Meanwhile, it is worth mentioning that it has all useful features of more expensive and sophisticated models. 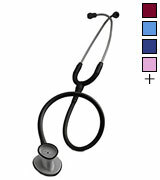 Similar to pricey instruments, this stethoscope has a two-sided chest piece with a tunable diaphragm and an open bell. Hence, you can easily auscultate both children and adults. Along with a dual head, tunable diaphragm and no-chill ring Littmann Lightweight II SE has some distinctive features. Owing to a special teardrop shape, the chest piece is easily positioned under blood pressure cuffs and around bandages. But the real benefit of this outstanding model is its light weight. It weighs only 118 grams that will be highly appreciated by all therapists and paramedics rushing from department to department throughout the day. Today, with operations in 70 countries, 3M manufactures over 50 000 products for medicine and different industries, including automotive, oil and gas, mining, etc. The company was established in 1902 in Minnesota, USA. Five founders including a lawyer, doctor, two railway managers and a butcher started a small-scale mining venture to harvest a rare mineral corundum used as an abrasive. In 1921 3M invented the first transparent scotch tape. In 1930-s, about 45 percent of the company profit was invested in science and researches. In 1960-s, annual company sales achieved one billion US dollars and the firm focused on the production of magnetic sound recording tapes. On April the 1st, 1967 3M acquired Cardiosonics Inc. and hired Dr.Littmann as a consultant to expand the growing healthcare business. At that time, Cardiosonics manufactured only two types of stethoscopes: a nurse’s stethoscope and a doctor’s stethoscope. 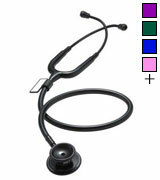 Currently, 3М manufactures the whole range of different stethoscopes under Littmann brand. 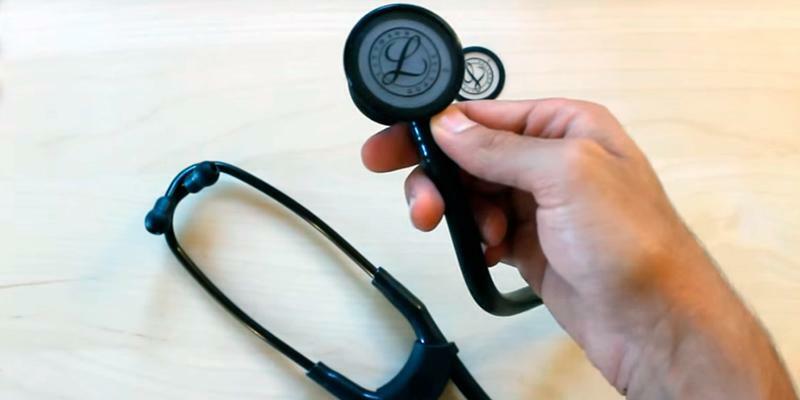 Owing to new unique features developed by 3M engineers, Littmann stethoscopes gained its exceptional reputation and popularity among healthcare specialists. 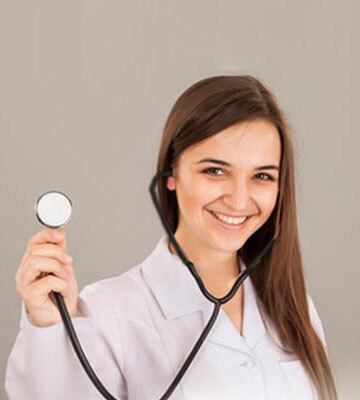 Professional Littmann stethoscopes and micro stethoscopes are designed for a wide range of medical specialists including physical therapists, pulmonologists, cardiologists, and therapists. 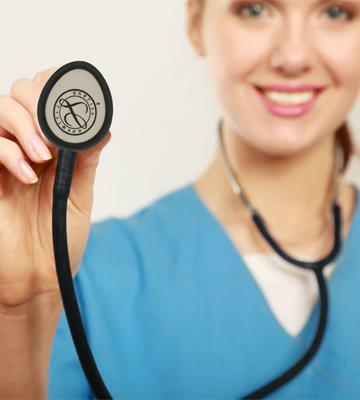 Littmann is a sign of premium quality and outstanding performance. 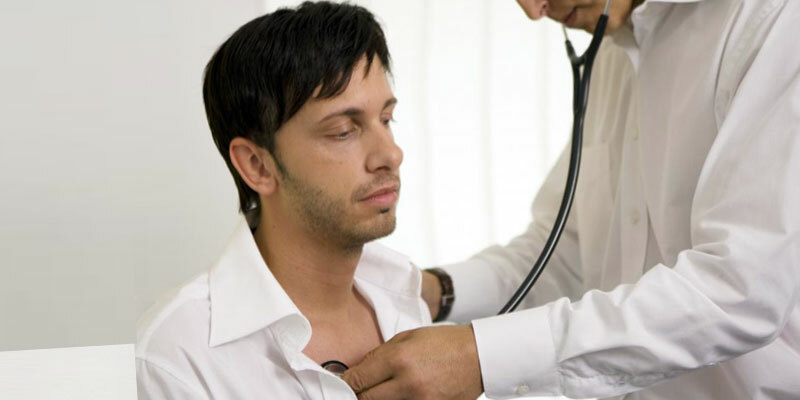 For proper and precise heart auscultation, you should use the diaphragm side of the stethoscope chest piece placing it above the patient’s heart. The diaphragm position is over the left intercostal space, almost under the breast. Hold the chest piece between the pointer and middle finger with a medium pressure to avoid hearing the noise of your fingers friction. Ask a patient to relax and breathe normally, listen to the heartbeat within a minute. You should hear normal heart sounds. These are first and second heart sounds (S1 and S2). The first sound is caused by the closure of the mitral and tricuspid valves while the second sound is produced by the closure of aortic and pulmonary valves. The next step is to count heartbeats per minute using the watch. The normal resting heart rate of an adult and a child over 10 years old is 60-100 heartbeats per minute. Sportsmen might have the heart rate of 40-60 heartbeats per minute. During the heart auscultation of small patients under 10 years, you should remember that their heart rate might vary from 70 to 190 heartbeats per minute depending on the age. Thus, generally accepted normal heart rates for kids under 10 years are the following: newborns (1-11 months) – 80-160 heartbeats per minute; infants (1-2 years) – 80-130 heartbeats per minute ; 3-4 year children – 80-120 heartbeats per minute; 5 - 6-year children - 75 - 115 heartbeats per minute; 7-9-year children – 70-110 heartbeats per minute. After checking the heart rate, you should listen to some extra heart sounds. If you hear some heart murmurs or the third heart sound called gallop your patient needs a further examination and consultation of a cardiologist. 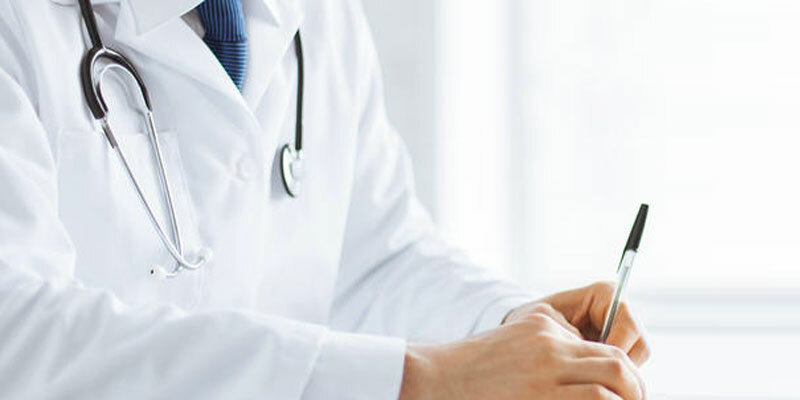 The Primacare company strives to provide its customers with high-quality products at a moderate price so that its stethoscopes and other medical equipment would suit the needs of both professional and personal health care. 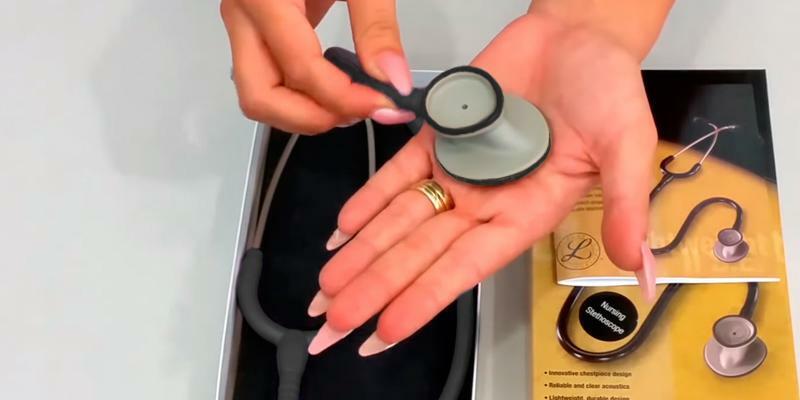 When it comes to the Primacare Sprague Rappaport Stethoscope, what you'll notice first about it is that it looks quite different to the rest of the stethoscopes on our list. It has a dual acoustic tube that is connected with earpieces directly. This tube is considerably thicker and shorter than it is in single tube models and boasts improved sound transmission with minimal sound loss. Since this tube is short, it doesn't loop nor rubs against itself and consequently, it doesn't produce any foreign sounds that may hinder auscultation. A two-sided chest piece allows a user to assess for both breath sounds and heart beating making it easy for healthcare specialists to carry out general physical examinations. 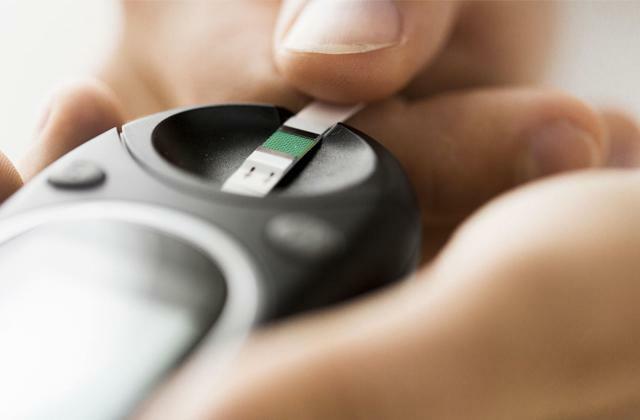 It can also be used for measuring blood pressure. Every person should regularly have a health check. One of the ways of doing that is to visit your therapist's; the other one is to do it at home. 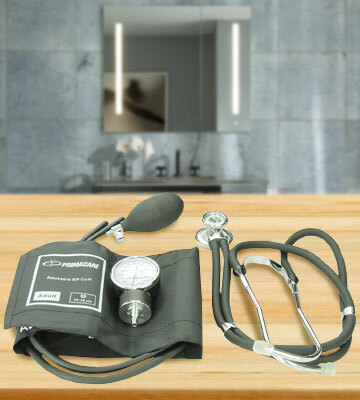 Having purchased the Primacare Medical Supplies DS-9181, not only will you get a stethoscope for auscultation, you will get a full kit comprising an adult size nylon cuff with Velcro-type closure and a professional aneroid gauge as well, so you'll be able to use it for a range of health assessments as well as for blood measuring. 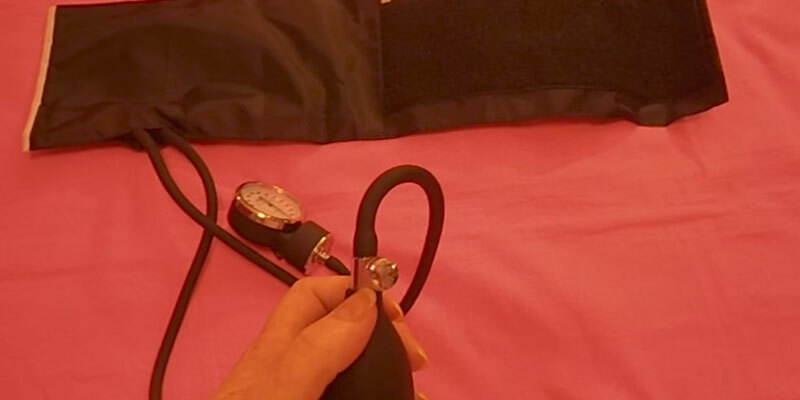 If you haven't owned a blood pressure monitor yet, receiving one with a stethoscope will be a nice bonus. Don't eat, smoke, drink coffee or take medicine that may raise blood pressure for at least 30 minutes before measurement. 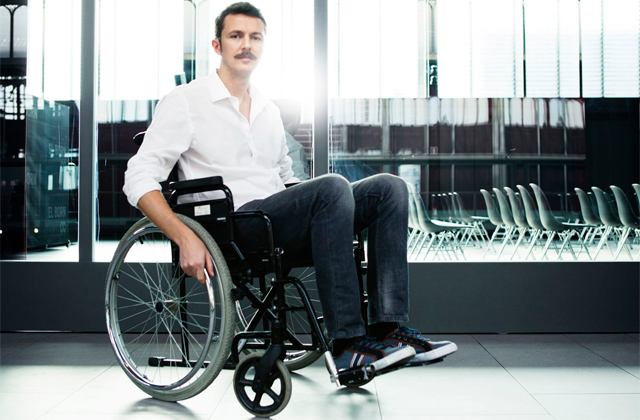 Sit in a relaxed and comfortable position for at least 5 minutes before you start. Place the cuff on bare skin about 2.5 cm above the bend of your elbow. Make sure that your feet stand on the floor and your legs aren’t crossed. Try not to move or speak while getting the readings. If you are a first-year student looking for a stethoscope, it's not necessary to invest in a premium-quality thing. As you start learning auscultation ropes, you're unlikely to see a big difference between devices. Therefore you can safely start with something simple and cheap. The St John Ambulance F19004-BLK can be just the right one. It is affordable, reliable, and it's pretty good. Not surprisingly, the St John Ambulance F19004-BLK has become the best-seller among medical students, although it is also suitable for home use. Designed with a non-latex tubing, this stethoscope minimises possible allergic reactions and is safe-to-use for almost all people, except those who might be sensitive to non-latex products. It features a double-sided chest piece with a diaphragm on one side and a traditional open bell on the other one, which ensures its good sound clarity and reproduction. In order for the readings to be accurate, people should observe a few simple rules when using diagnostic tools. Number one, you should keep your tool clean. Do not use household cleaning agents, though, in order not to damage the device. Being sensitive to hot and cold temperatures, stethoscopes cannot be exposed to the direct sun or cold, too. Even though you might not see the damage done, you will surely hear it during assessments. Number two, do not immerse a stethoscope in liquids and keep it from folding when not in use. 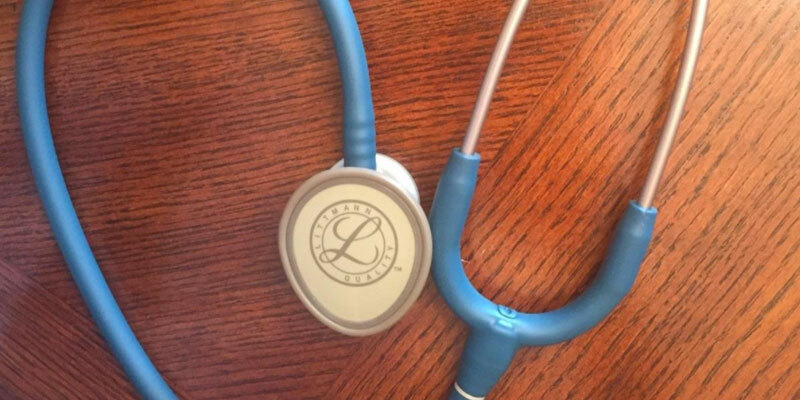 To ensure that you don't lose your stethoscope, you may also want to personalise it somehow. 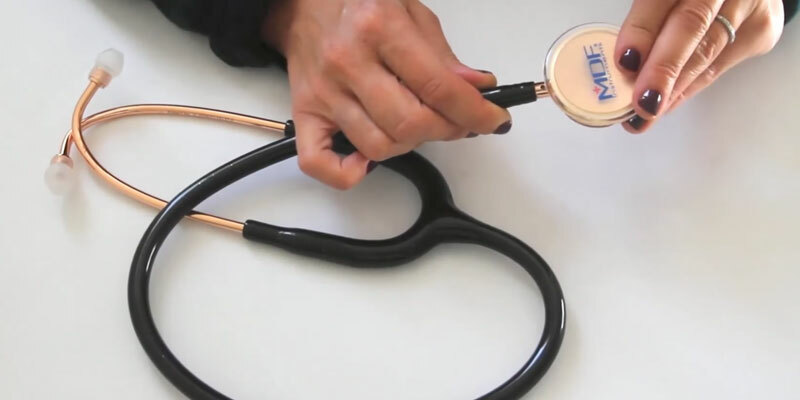 We'd like to give you several tips on how to use a stethoscope properly, for a lot of users seem to face the same kind of problem - they do not hear any sounds during use at all. So what are the common reasons that may cause that? Make sure that there are no holes in the tubing by tapping the earpiece. If you hear nothing, there might be a leak. Always face earpieces forward when you insert them in the ears, otherwise, you won't hear a sound. Make sure ear tips don't let any ambient noise in and fit the headset snugly. Position a patient. In correspondence with the assessment you need to perform, your patient should be sitting, lying or standing. Decide whether you need to use a diaphragm or bell. Do not forget to clean your stethoscope from time to time, especially if you often carry it in your pocket. Doing so, you will eliminate debris, lint or dirt accumulation inside the sound pathways. 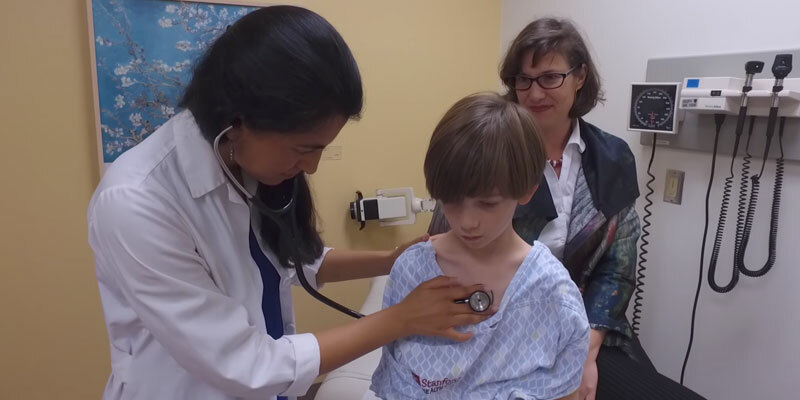 A stethoscope hanging over the doctor's gown has always attracted a lot of attention, raising a thrill, sometimes a fear, in kids and adults alike. So what is it and why is it used? Let's see. 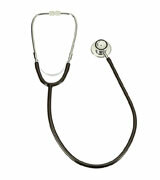 A stethoscope is an acoustic medical instrument used for auscultation of human or animal body. It allows you to hear the heart beating, lungs, blood vessels, intestine and other viscera. 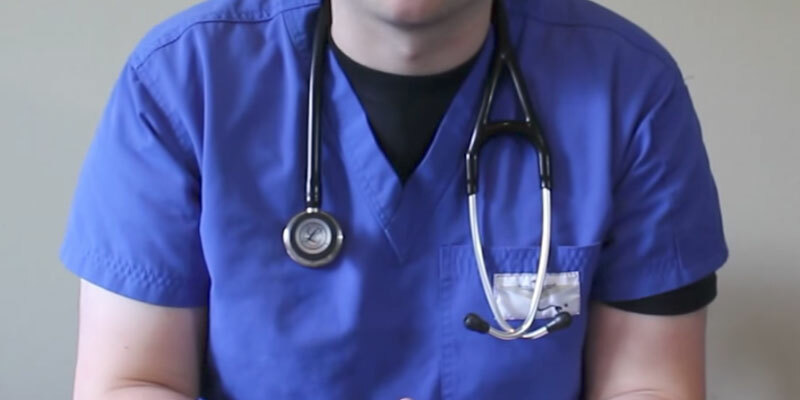 A traditional stethoscope, which you can see at your therapist's, usually consists of three main elements: a chest piece applied to the human body to capture low and high-frequency sounds; a headset with ear tips to auscultate the patient and a flexible acoustic tube connecting ear tips with a chest piece and transmitting the sounds. 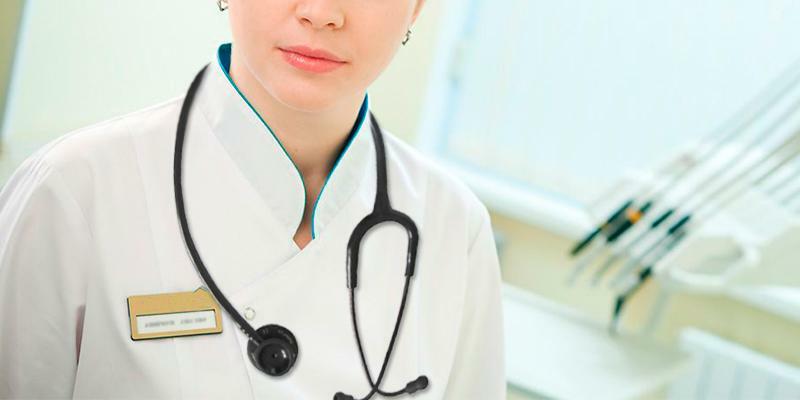 Below we review the best stethoscope models and give you some tips to consider while choosing a stethoscope for your individual needs. Meanwhile, whether you’re are a medical professional or a common user, we strongly recommend checking blood pressure monitors for accurate arterial and venous blood pressure measuring. At first sight, it seems difficult to distinguish between these acoustic medical devices. But in fact, there are several basic Types of stethoscopes. A therapeutic stethoscope is used to listen to the heart, intestine, lungs, bronchi and blood vessels of an adult while a pediatric stethoscope is meant for auscultation of children. The stethoscope for small patients differs from the therapeutic model by a smaller chest piece to avoid the ambient noise and ensure nice quality sounds and clear acoustic response. Pediatric stethoscopes are used for auscultation of infants up to 1 year old. There are even special neonatal stethoscopes for the newborns (up to 28 days old). They come with a no-chill ring on the chest piece to keep warm while contacting with a sensitive skin of a tiny baby. A fetal stethoscope or fetoscope was designed to hear a fetus heartbeat when placed on the belly of the pregnant mother. It looks like a trumpet resembling the design of first stethoscopes. If you need an all-purpose stethoscope for auscultation of both pediatric and adult patients pay your attention to Rappaport stethoscope. It features rather heavy two-sided chest piece compatible with diaphragms and attachments of different diameter. A distinctive element of this stethoscope is two independent acoustic tubes transmitting the sound from the chest piece to the headset. Therapists and cardiologists use a cardiac stethoscope to listen to low and high-frequency sounds of heart and lungs. This stethoscope allows you to clearly hear the whole range of sounds during the heart auscultation. It is worth saying that recently more and more healthcare professionals prefer electronic stethoscopes amplifying the sounds and reducing the ambient noises. Depending on the use, stethoscopes have different Design. The chest piece placed on a patient’s body is the most important component determining the stethoscope use and sound quality. The chest piece looks like a flat funnel covered with a special diaphragm. There are single-side and dual-side chest pieces. The two-sided chest piece usually has a diaphragm on one side and an open bell on the other side. A diaphragm is used to auscultate high-frequency sounds of the heart and intestine while the open bell is designed for low-frequency auscultation of blood vessels and lungs. Most often the chest piece is made of stainless steel and connected to a single or double acoustic tubes and a headset. Acoustic tubes are made of flexible and highly elastic rubber. The thicker the tube wall is, the better acoustic performance is. The tube should be rather long, the optimal length is about 15”-17”. Meanwhile, an overall device length will be almost twice as long, ensuring ultimate comfort for both a patient and physician. Another element all stethoscopes have is a headset. It includes straight metal binaural connected by a spring and angled to meet the path to the ear canal. Finally, pay attention to the Special Features and Usability of the stethoscope you are selecting. For example, some models have a chest piece with an adjustable diaphragm that allows hearing both low-frequency and high-frequency sounds depending upon the pressure intensity. Soft-sealing, snap-tight eartips of different sizes give you an opportunity to choose the optimal size for a perfect fit and excellent acoustic seal. Recently most manufacturers care about the patient comfort and equip stethoscopes with a non-chill rubber ring on a diaphragm. 1. Stethoscope, Wikipedia. August 1, 2016. 2. Stethoscope Science: Hearing Heart Rates, Scientific American. February 14, 2013. 4. Michael Corsilles How to Use a Stethoscope, wikiHow. July 14, 2015. 5. Mariah A Evans The Different Types of Stethoscopes, EzineArticles. May 08, 2012. 6. 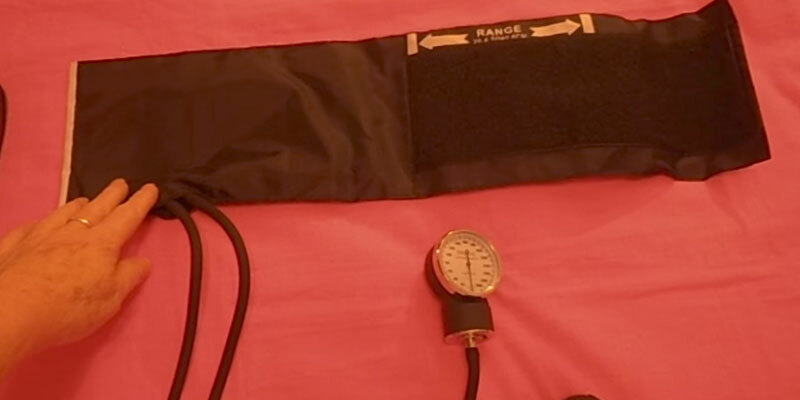 Stethoscope Basics - What makes a Good Stethoscope, eBay. March 02, 2016. 7. Technique: Heart Sounds & Murmurs, Washington.edu. 8. Make Your Own Stethoscope, Science Buddies. April 16, 2015.